We’re searching for three men with big marathon aspirations for 2018. Whatever your marathon goal – whether it’s performance-related or something more personal – if you want the coaching and kit that can help you achieve it, we want to hear from you. 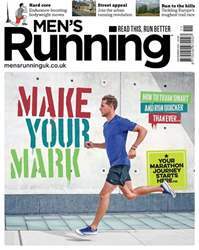 Your progress will be charted in the magazine and on the website (mensrunninguk.co.uk), as well as on Facebook (@mensrunningmagazineuk), Twitter and Instagram (@mensrunninguk).